The DVD is for beginners on up to advanced students and teaches how to improvise on one key grooves using the minor Pentatonic Scale. 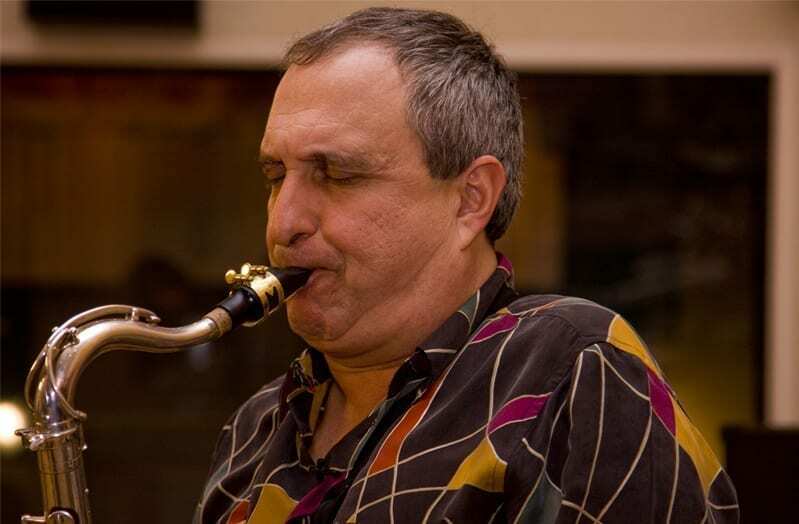 Watch and listen to David Beecroft and Jody Espina jamming over the DVD at the JodyJazz Showroom. 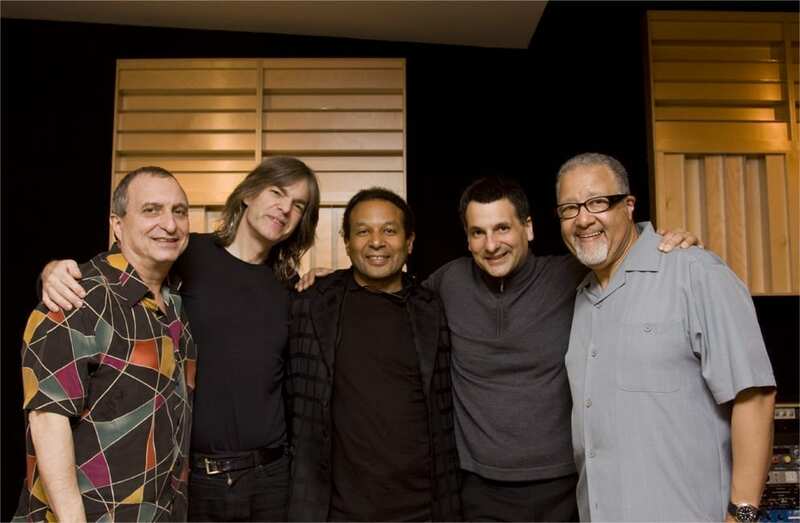 Mike Stern, John Patitucci, Kenwood Denard, Rollins Ross and George Garzone play on the DVD. 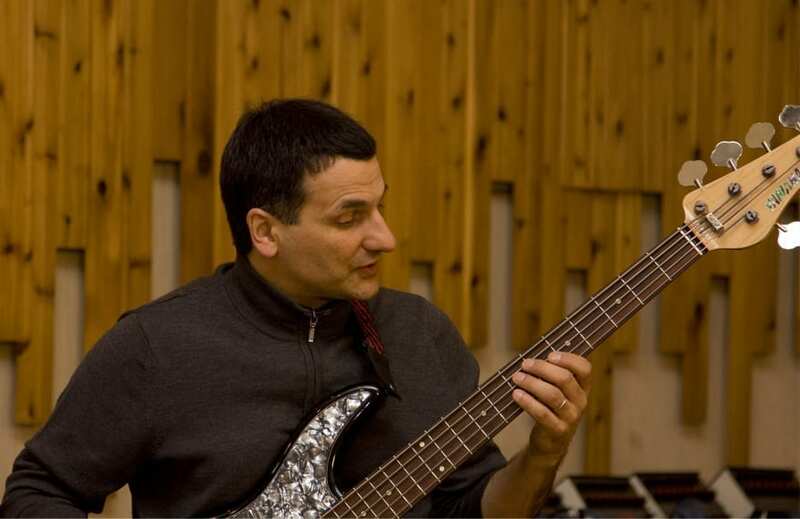 Jody Espina is on the JodyJazz DV Alto 8 and David Beecroft is on the JodyJazz HR* Tenor 8*. 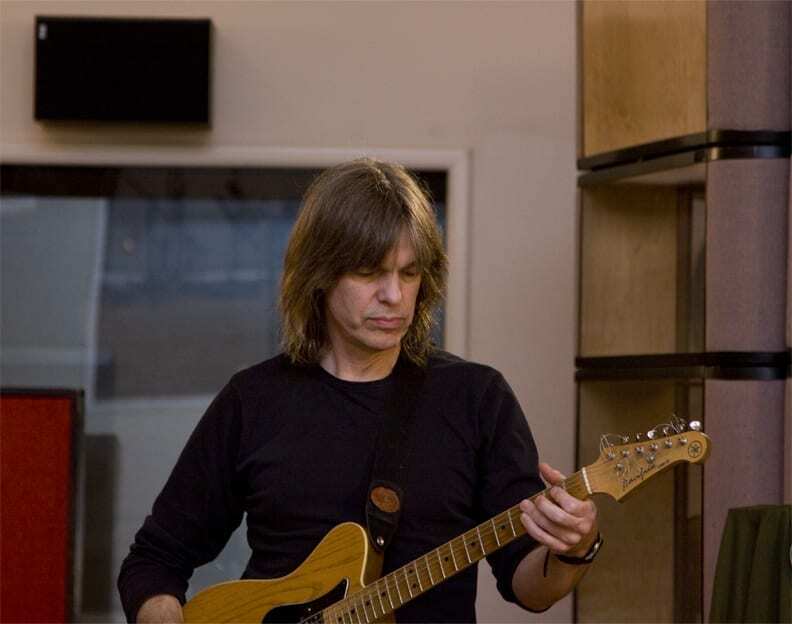 Performances – We let the tape roll and the best musicians in the world had a ball. Everything is first take, unrehearsed joy. 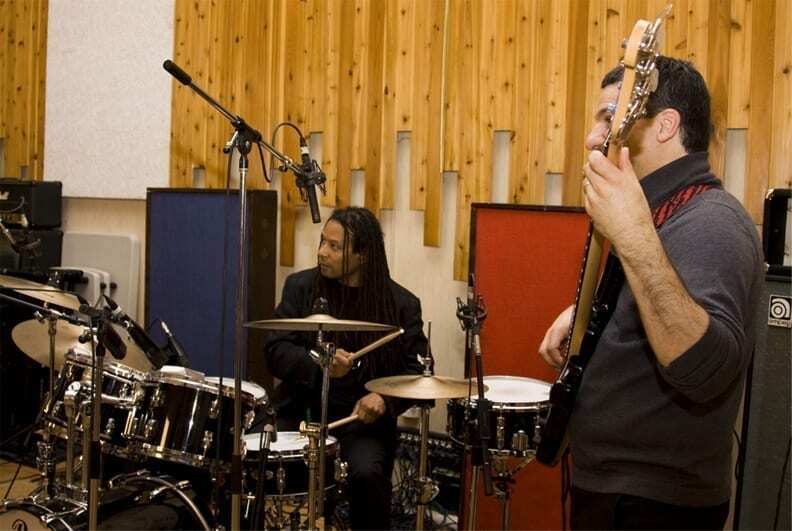 Interviews – Hear these legendary musicians’ thoughts on music, life and “the groove”. If you are a beginning improviser this is the best improvising method for you. George will teach you how to improvise in an organic fun way. You can go at your own pace, and rest assured that the first chapters of the lessons are completely accessible by beginning improvisers. And what better way to lean than by playing with the greatest players in the world. If you are an intermediate improviser this is the best Jazz improvisation method because it will solidify your time and phrasing and then introduce new melodic and harmonic concepts to you. Learn and play with the best to be the best. If you are an advanced improviser you will love the advanced chromatic concepts that George spells out for you. 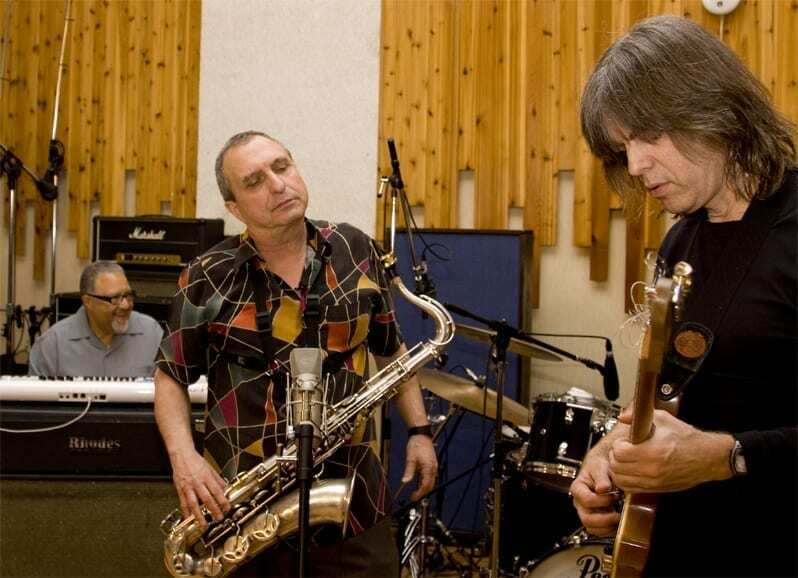 And we don’t think that there is anyone that is so advanced that they won’t enjoy trading licks with George Garzone and Mike Stern over the top of John Patitucci and Kenwood Denard’s groove. How do I get to the PDF's on the E-Book? Insert Disc Two into your computer. To retrieve the E-Books, you will need to open the CD or DVD as a Data Disc, so if your computer automatically opens the CD or DVD with music software such as iTunes, Windows Media Player or DVD player, close or ignore the applications. Locate your Disc Image on your computer (On Mac, it will show up on your Desktop as well as on the side bar of the Finder. On window, disc image is located on My Computer or Computer) Click or double click to open the disc image and drag the e-book to desired location on your computer. This 2 DVD set is an Improvisation Instructional DVD based on playing over simple Grooves utilizing the minor Pentatonic Scale while stressing a solid time feel. Virtually all levels of players from beginner to advanced will benefit the this DVD. Will there be written music for me to look at, in my key? The E-Book that is on Disc II, is written for all keys and will have all the music you need. There are transcriptions and exercises written out but there are also times on the Disc where we have provided you space to write out your own transcriptions. Will this help me play by ear? One of the most beautiful things about this DVD as opposed to other improvising methods is that you will definitely develop your ear while playing with this. And the great thing is that you won’t even realize you’re working on your ear until one day you realize how much better you can learn things by ear. In the trailer for the DVD the musicians talk about Heart and feel and things like that. How can they teach those things? The musicians on this project all stressed to me how important the feel and sentiment are behind the music, more so than technique and chops, which they all have of course. By playing along with them and essentially being in the band you will soak up this feeling. In the comfort of your own home you’ll be able to relax and really just let it flow. Watch how they play and interact with each other and you’ll see the love and joy they have for playing. You can’t help but catch the vibe. 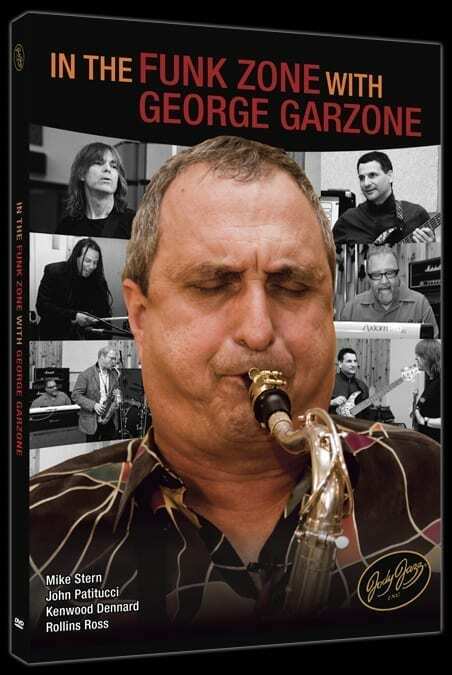 Saxophonist George Garzone and JodyJazz Inc. have created a 2-disc DVD set that masterfully teaches the art of “Structured Improvisation” through pentatonics, time, and melodic development. Below you will find video clips and transcriptions to accompany those clips. For the greatest retention and comprehension, you should transcribe much of the material and use the provided transcriptions as reference. Each transcription comes from the Ebook included in the DVD set. If you click on a transcription, a printable PDF containing that transcription will open. Enjoy these free transcriptions! Download a FREE Printable Transcript of Pocket Jam Here! Download a FREE Printable Transcript of Pentatonic Structure Here! Download a FREE Printable Transcript of Ascending Pentatonics Here! Download a FREE Printable Transcript of Descending Pentatonics Here! Download a FREE Printable Transcript of Scrambled Formation Here!